Wow, this is a really great Steven Seagal video. 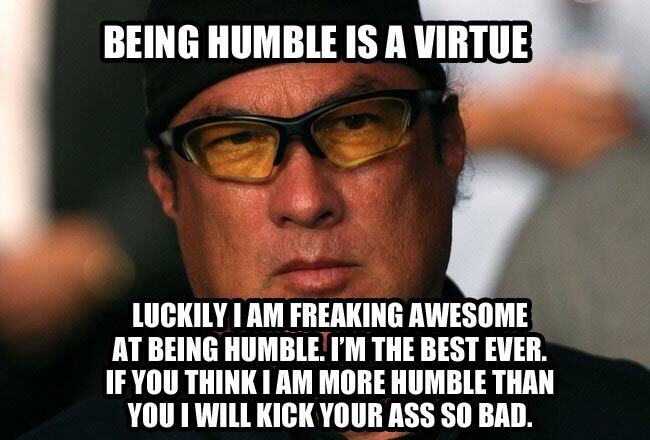 Of course, any video with Seagal in it is great, especially this one. But this one is very special. 3) Seagal also states that he was brought up in the deep south somewhere learning to play the blues from his best friend BB King. Amazing that he can be brought up in two places at once! 4) He will teach “secret stuff” to “high bodyguards” in Moscow. Welcome to Crazy Egomaniac Town, population: SEAGAL!